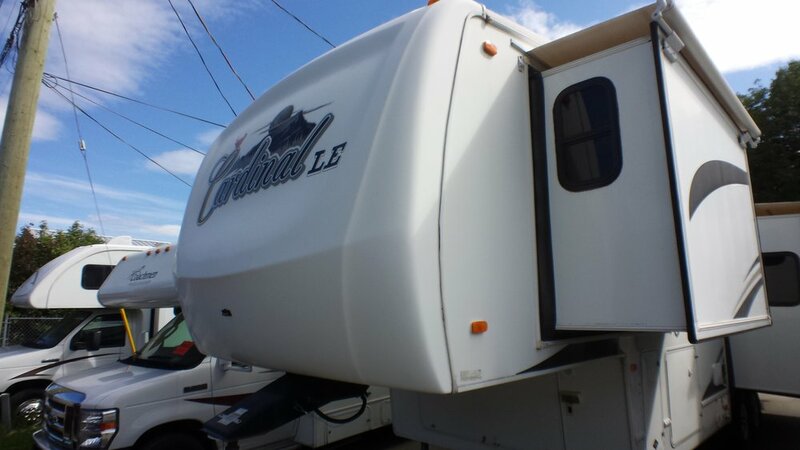 HAVE A LOOK AT THIS 31' CARDINAL 5TH WHEEL TRAILER. THIS IS A VERY DESIRABLE UNIT. LARGE KITCHEN,SATALITE SYSTEM, BUILT IN VAC ETC.,ETC. GREAT TO LIVE IN.